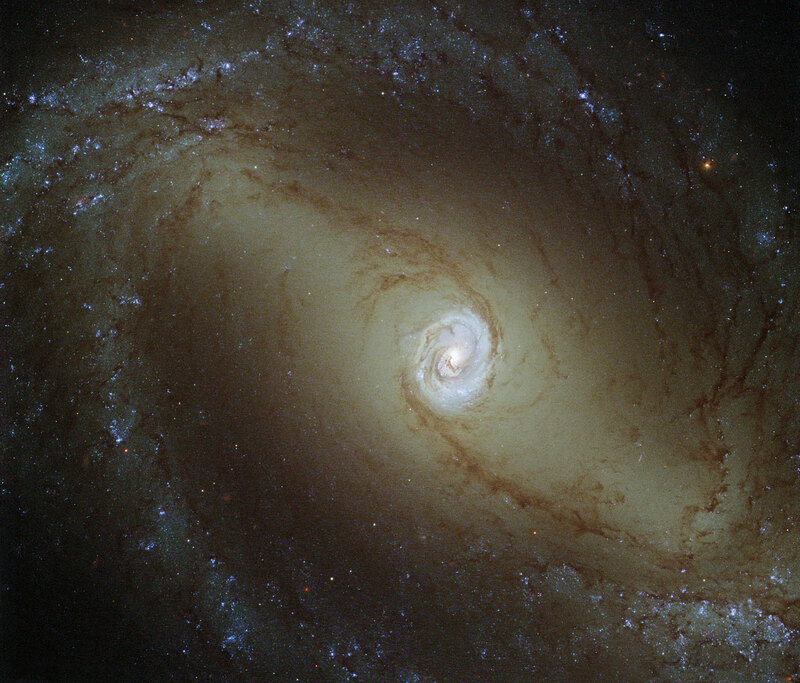 This view, captured by the NASA/ESA Hubble Space Telescope, shows a nearby spiral galaxy known as NGC 1433. At about 32 million light-years from Earth, it is a type of very active galaxy known as a Seyfert galaxy — a classification that accounts for 10% of all galaxies. They have very bright, luminous centers that are comparable in brightness to that of our entire galaxy, the Milky Way. Galaxy cores are of great interest to astronomers. The centers of most, if not all, galaxies are thought to contain a supermassive black hole, surrounded by a disk of in-falling material. LEGUS will study a full range of properties from a sample of galaxies, including their internal structure. This Hubble survey will provide a unique foundation for future observations with the James Webb Space Telescope (JWST) and the Atacama Large Millimeter/submillimeter Array (ALMA). ALMA has already caught unexpected results relating to the center of NGC 1433, finding a surprising spiral structure in the molecular gas close to the center of NGC 1433. The astronomers also found a jet of material flowing away from the black hole, extending for only 150 light-years — the smallest such molecular outflow ever observed in a galaxy beyond our own.